Love note to an old professor... "But why do you have to be so mean?" Last week I found myself swelling with pride. 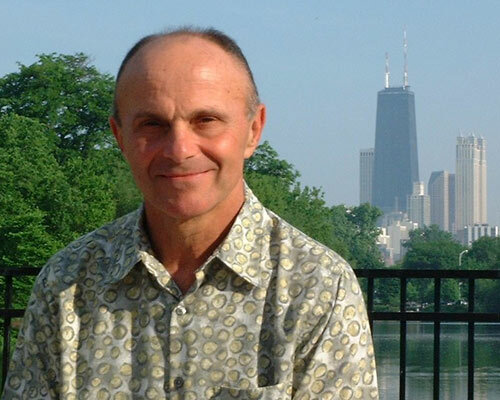 A professor of mine from the University of Chicago business school, Eugene Fama, had just (finally) won the Nobel Prize for economics. My joy was a little odd given the degree to which Professor Fama tormented me for two full terms of his class. A little bit of background on my educational journey might be helpful context. I was always a good and hard working student, particularly through high school. I had to be as I am a little bit dyslexic, so I always felt like I had to work a little harder to keep up. As the years of my youth passed by, the negative impact of the dyslexia seemed to somehow work its way out of being a barrier to learning. By the time I ended high school, I had become a pretty confident student. Perhaps I was a bit too confident as I entered Duke University. I enrolled as a biomedical and electrical engineering student. This was a questionable choice as it was one of the most demanding majors Duke had to offer, and I seemed to very intent on peering around campus with great curiosity about lots of things having nothing to do with academics. I got involved, I got a part-time job, and I had entirely too much fun. I will admit that the temptations of being an idiot college student often won battles with my instincts to be a strong student. I got it together by my senior year, but my sum college experience is not what anyone would call academically inspired. Despite my middling collegiate performance, I somehow managed to get accepted to the University of Chicago Graduate School of Business (GSB). I started attending grad school while continuing to work full-time. Unlike a lot of part-time students, I had to pay my own tuition, which was fairly dear. A curious thing happened when I had skin in my educational game: my level of intensity and focus rose dramatically. For the first time, I started to actively challenge myself academically. At Chicago, I heard of a fabled and notorious professor by the name of Gene Fama. His name was constantly being bandied about as a likely Nobel Prize winner, joining the ranks of other Chicago luminaries such as his colleague Merton Miller. Fama’s reputation as a professor was legendary and bordering the image of John Houseman’s character in the Paper Chase. He taught a two-term course titled The Theory of Financial Decisions I and II. This class was really intended for students getting their PhD in financial economics, not their MBA. My roommate at Chicago GSB was a year ahead of me, and he took Fama’s class as an MBA student. I watched him experience the brutality of the class in workload and anxiety. It was a little bit like watching a friend train for and then run a triathlon. It’s inspiring and sadly contagious. Needing to have my head examined, I made the decision to take Fama’s class, while still having a job no less. Not smart. Here is a dirty little secret of business schools. Unlike law school and medical school where students suffer ritual beatings, business schools are known for being somewhat like country clubs. For many type-A would-be masters of the universe, they are a way station where one can enjoy a beer or thirty. They tend to be very social by graduate school standards, and the expectation among students is that moderate work ethic will result in solid grades. I guess Fama never got that memo. The first day I sat in his class, it was in a large lecture hall stuffed to the gills with eager students. Fama looked over the huge crowd and started to shake his head. From his reputation, I had expected a patrician Brahmin dandy. What I saw instead was a wiry older guy wearing running shoes who talked a mile a minute in a slightly Bostonian accent. Fama then started his first lecture by informing the class that unless you were willing to put in 12-15 hours a week in addition to an extra 3 hour study session with the TA plus his three hour class, that you were going to do poorly. He then predicted that 40% of the class would get D’s and F’s on their first mid-term. This would not be because a pre-set curve, but rather because that many people would do that badly. Fama’s advice was for non-serious MBA students to enroll in the normal MBA class. For those that chose to remain, be prepared to reap the whirlwind. If I had any common sense, I would have run out as though my hair were on fire. Instead I stayed. Those two quarters were two of the most demanding times of my life. This course was all theory and math. We had to do kooky stuff like learn the how to derive the CAP-M asset pricing model (completely not useful in life, btw) with effectively zero time spent figuring out how to apply it. Again, it was a PhD class. I studied endlessly. I remember asking a perfectly reasonable question in class, and then being given 1) an answer that I only vaguely understood followed by 2) a return serve of “Mr. Kirchhoff. Now that I have answered your question, perhaps you could answer some questions for me.” He then proceeded to pin me to the ceiling and watch as I slowly bled out. This was a daily occurrence in his class. Thin skins didn’t last long. I was rarely able to sleep the night before an exam and certainly not the night before the exam was graded and returned (btw, he did in fact give 40% D’s and F’s on his first mid-term, despite weeding out a slug of the class after the first lecture). Against all odds, I managed to get a pair of A’s out of Gene Fama. It was and is among my most proud achievements. We all have epiphanic moments in our lives, and this class was among a handful of standouts for me. This was the moment when I began to see myself very differently. I was no longer a campus clown (at least not a clown on campus), but a serious guy who could accomplish a lot when he pressed hard. I have a theory that these breakthroughs in life often come with the help of a demanding person on the other side, often not a parent. Only when we are truly challenged do we learn what we are truly capable of. And sometimes it requires a tough little guy from Boston to beat it out of us. I think about this every time my kids have to endure a tough teacher. Publicly they get my sympathy, but privately I know it’s good for them. I think it’s fair to say that I may have never once had the opportunity to apply a single thing I learned in Fama’s class. Yet, his class had more impact on me than any other throughout my education. So to Eugene Fama. Congratulations on the Nobel Prize, and thank you for being yourself. And I forgive you for never once pronouncing my name correctly over the course of two terms.